The Amazon Fire TV Stick is an amazing piece of kit but unfortunately, it’s not available officially in the Republic of Ireland. If you’ve managed to get your hands on an Amazon Fire TV Stick in Ireland (which is often on promotion at £34.99 or less) then you’ve probably been a little disappointed that the majority of the content doesn’t work. But never fear! In this guide we’re going to show you how you can get most of the content on the Amazon Fire TV Stick and Fire TV working. While it won’t make everything work, it does enable at least 95% of things to work on the Amazon Fire TV Stick and Fire TV in Ireland. When you try to launch apps and content on your Fire TV Stick or Fire TV in Ireland instead of being able to stream you’re blocked with a message that basically tells you you’re not in the correct region. In other words, you’re not in a region that the Amazon Fire TV Stick is intended for. The good news is you can unblock most apps and stream from them using an app called a VPN. Thankfully VPN apps are available directly from the Amazon App store so there’s no messing around. A VPN is a privacy app for your Amazon Fire TV Stick that allows you to change the region your internet connection reports you’re in. For example, when you launch the BBC iPlayer app on your Fire TV Stick in Ireland it checks your internet connection to determine your location. A VPN allows you to change your location to the United Kingdom. When using a VPN and you launch the BBC iPlayer app it now thinks you’re in the UK so instead of blocking you it’ll let you stream any content you want. VPN services cost around €4 – €6 per month and they’re much cheaper if you opt to sign up for a yearly service. My favourite VPN right now is ExpressVPN because not only do they have a massive 30-day money back guarantee making it risk-free, you can also get 3 months entirely free on their annual package. A quick search of your favourite search engine will throw up a headache-inducing amount of VPN services. With online privacy being big business these days it means there is a huge choice. However, not all VPN services are suitable for watching video in Ireland nor for using with a Fire TV Stick. The problem is that most VPN providers don’t have a dedicated Amazon app. One provider that does though is ExpressVPN. Using the VPN service with the Fire TV Stick in Ireland is super easy. Just follow the simple steps below to be up and running in no time. On your Fire TV or Firestick search the Amazon app store for “ExpressVPN” and install the app. On your Fire TV Stick navigate the apps to find the newly installed ExpressVPN app and click on it. Login with either your email address and password or your activation code which you can find in the My Account section of the ExpressVPN website. Press Choose Location and select United Kingdom and press Connect. The ExpressVPN Amazon app will now make connection to the UK for you. After a few seconds it will connect. You can now launch any of the apps on your Fire TV Stick such as BBC iPlayer and watch as normal in Ireland. There are a few other VPN providers who have dedicated Amazon apps so you might want to check out NordVPN and CyberGhost VPN too. If you’ve installed Kodi on your Fire TV Stick and you’re wanting to access blocked streams or add-ons then the VPN will work perfectly. 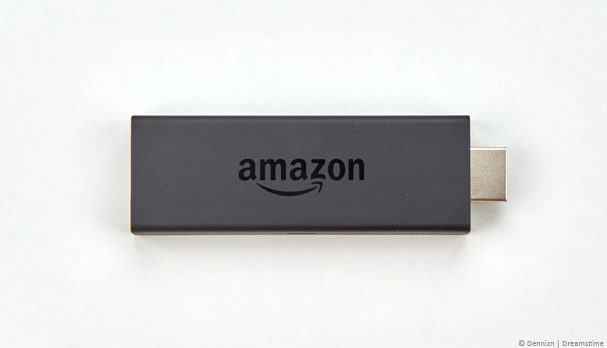 You should launch the ExpressVPN Amazon app in the same way as when using with the normal Fire TV Stick interface. Rather than connecting to a country such as the United Kingdom you should connect to a more privacy-friendly country such as Switzerland, the Netherlands or Iceland. Once you’ve connected to a privacy-friendly country you can load up your Kodi installation and access any services or add-ons privately safe in the knowledge what you stream and do remains only your knowledge. 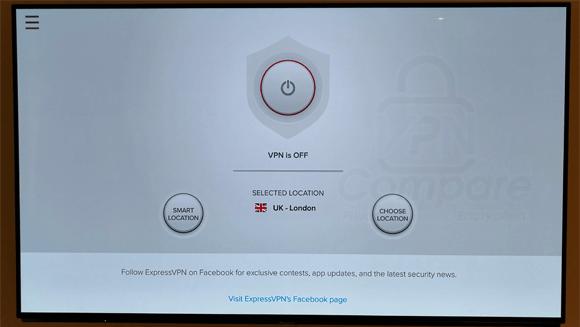 So to use most of the add-ons and features of your Amazon Fire TV Stick or Fire TV in Ireland you need a VPN which you can get from ExpressVPN, click the button below and sign-up. You then need to download their Amazon app to your Fire TV Stick or Fire TV from the Amazon App store. Run the downloaded ExpressVPN app and select United Kingdom. Then press Connect. That’s all there is to it. Enjoy using your Fire TV Stick or Fire TV in Ireland.